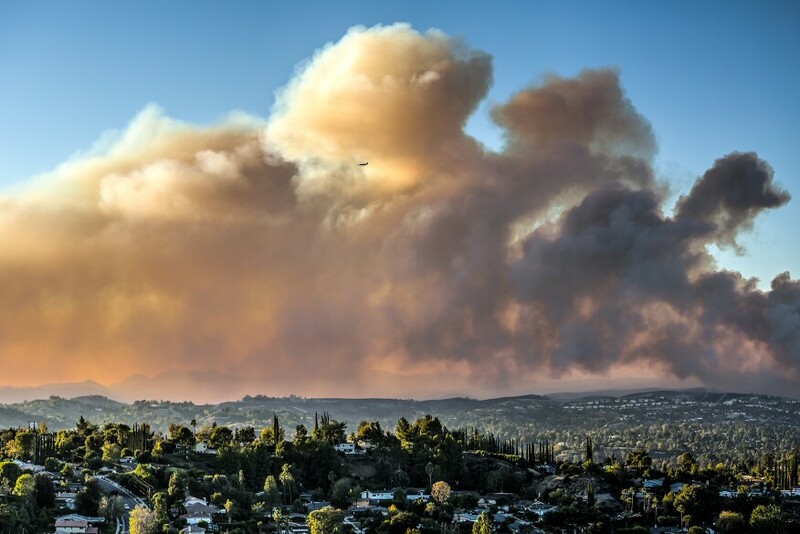 An Unthinkable, Inevitable Response to Climate Change | "Global Possibilities"
Peter Buschmann; courtesy Forest Service, USDA In Nov., the Woolsey Fire destroyed some 1,643 structures in California’s Los Angeles and Ventura counties, with total real estate damages estimated at $5 billion. Insurer Aon named 2017 the “costliest year on record for weather disasters,” with $344 billion in economic damage overall and a $132 billion direct hit to the insurance industry. Not surprisingly, then, owners of vulnerable real estate are seeing premiums rise. What follows could be worse: At the World Economic Forum in Davos, Switzerland, this January, the CEO of French insurer AXA, Thomas Buberl, warned that as global temperatures increase and weather grows more extreme, underwriters will redline high-risk areas. In 2016, four actuarial professional associations launched the Actuaries Climate Index, which monitors climate-related risk by region in the U.S. and Canada. Backdated to 1960, the index shows a frighteningly steady increase of risk over time. In one sense, the data could present an opportunity: As William McDonough, FAIA, observed on a panel at Hanley Wood’s Hive housing conference this spring, the best lever to move developers toward resilient and sustainable design is money. So when underwriters shy away from troublesome locations and building methods, one can reasonably expect that developers will too. Alas, some individuals and institutions will prove difficult to persuade. Remember the outrage when officials suggested abandoning economically blighted neighborhoods in Detroit and hurricane-ravaged wards in New Orleans? Human responses to the actuarial table’s blunt math are not always driven by logic. Instinct and culture tell us to defend our territory in the face of terrible odds. Nobody likes a quitter. Can humanity adapt? In Kim Stanley Robinson’s hopeful 2017 novel New York 2140, the streets lie 50 feet under water but the city marches on, like a fantastic, latter-day Venice. Paolo Bacigalupi’s 2015 thriller, The Water Knife, is more pessimistic, drought having all but consumed the Colorado River, the Southwestern states battling over the remaining trickle, and refugees desperately wandering the desert. If we fail to curb carbon emissions, science fiction will prove to have been prescient, as millions deliberate whether to stay and fight, or to flee from floods, wildfires, drought, hurricanes, and all the other disastrous effects of a warming planet. Obviously, architects, clients, and governments must adopt resilient and sustainable design, wholesale, and without delay. But we also need to consider retreat, a dispassionate and proactive withdrawal to safer sites. Why build, or rebuild, where nature won’t tolerate our presence? Ned Cramer, Assoc. AIA, is the editor-in-chief of ARCHITECT and vice president, editorial, at Hanley Wood.